Pride month is drawing to a close. The Utah Pride Festival was fun and exhausting, and I met a lot of lovely people and made some new friends. 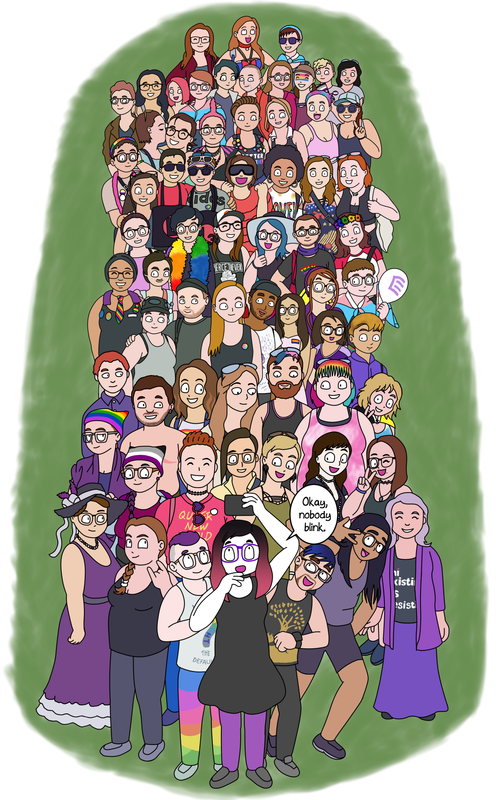 So I decided to draw a crowd scene featuring many of those people! This picture is definitely the most complicated thing I’ve drawn for the comic so far. And if you’re inclined to look at it in more detail, here’s a higher resolution version. 60. Lu; 61. Shauna; 62. RF; 63. Xan; 64. Teigue; 65. Kira; 66. Joni.